WASHINGTON: Leading members of the Taliban who were once held by the US at Guantanamo Bay have joined the group’s political office in the Gulf nation of Qatar, according to sources inside the Taliban, a potentially important development in tentative peace talks now under way between the insurgency and Washington, The Wall Street Journal reported. The move follows two rounds of talks between the Taliban and American officials in Qatar in July and October. Freeing the “Taliban Five” and bringing them into the political process appears to be a significant concession from the US side. It had been a longstanding demand from the Taliban that was previously opposed by the White House. It wasn’t immediately clear whether the Trump administration approved the move or was aware of it. There was no immediate comment from Qatar. Four of the men are very senior members of the Taliban. Joining the group’s political representatives in Doha significantly boosts the standing of that office, which could enable a more serious political dialogue with Washington. They include the former head of the Taliban’s army, Mohammad Fazl. A senior military figure, he could help carry the movement’s dominant military side into the peace process, analysts say. 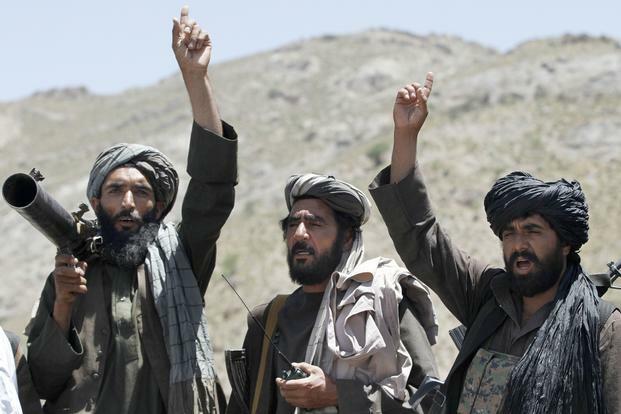 It isn’t clear how much the Taliban’s military commanders support the peace dialogue. The men were released from Guantanamo in 2014 by the US in exchange for an American soldier held by the Taliban in Afghanistan, Bowe Bergdahl, and sent to Qatar. However, until now, they lived under guard in their homes in the Gulf state. They weren’t allowed to hold political meetings or travel. At an induction ceremony on Monday at the compound in Doha that houses the offices and living quarters of Taliban political representatives, they joined the Qatar office, Taliban spokesman Zabiullah Mujahid said. “They have been appointed as members of political office in Doha,” Mujahid said. “Reactivating these Taliban will have a big impact,” he added. Until this week’s move, the Trump administration has sought to distance itself from Obama administration policies in Afghanistan and had opposed any talks or political or diplomatic recognition of the Taliban Five. Arguing that the presence of the Taliban Five on the de facto commission would help peace efforts, Qatar for years has urged the US to incorporate them into the commission, either officially or as observers. At the urging of the Obama administration and the United Nations, a Taliban political office was opened in the Gulf state of Qatar in 2013 but quickly closed after the Taliban raised their flag above the compound housing the office, prompting complaints from the Afghan government. It has since functioned, but on an unofficial basis. The Taliban had been asking for confidence-building measures from the US side, according to sources in the group. In recent days, a former deputy head of the Taliban, Abdul Ghani Baradar, was set free from custody by Pakistani authorities. The US didn’t confirm whether this was a result of the talks under way in Doha.